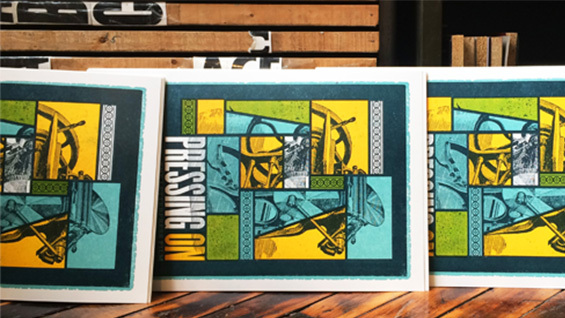 Pressing On: The Letterpress Film is a documentary that explores the question: why has letterpress survived in a digital age? Worlds of each character emerge as unusual narratives—joyful, mournful, reflective and visionary—are punctuated with on-screen visual poetry, every shot meticulously composed. Captivating personalities blend with wood, metal and type as young printers strive to save this historic process in a film created for the designer, typographer, historian and collector in us all. After the screening, Jonathan Hoefler, Hoefler & Co., and film co-director Erin Beckloff will discuss letterpress printing's role as a tool of connection between people through time in design and typography. Get tickets here.